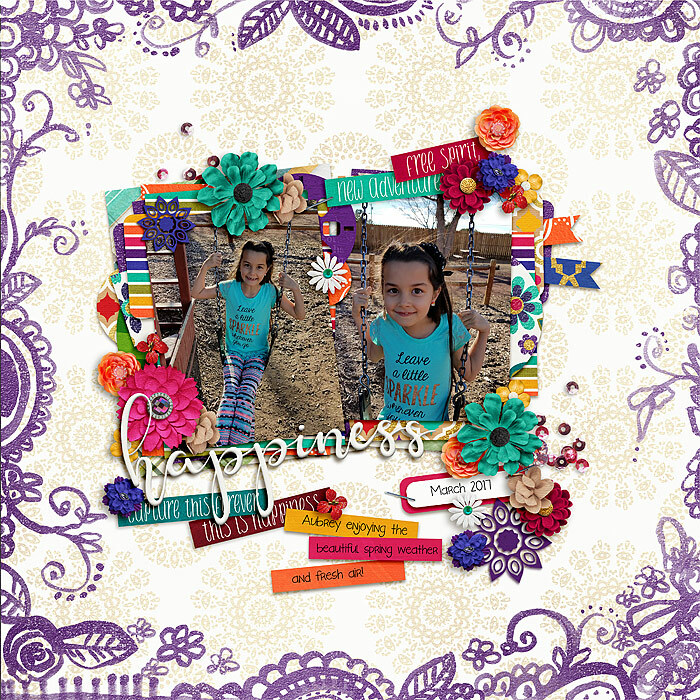 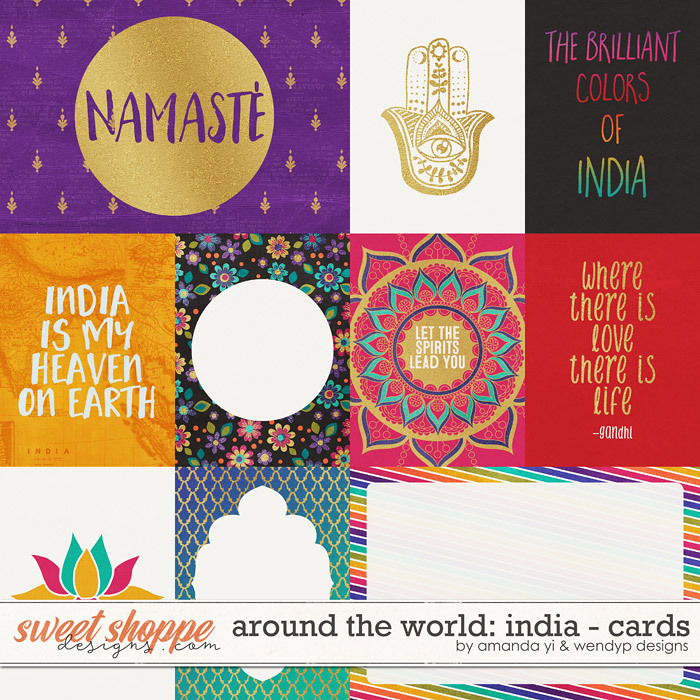 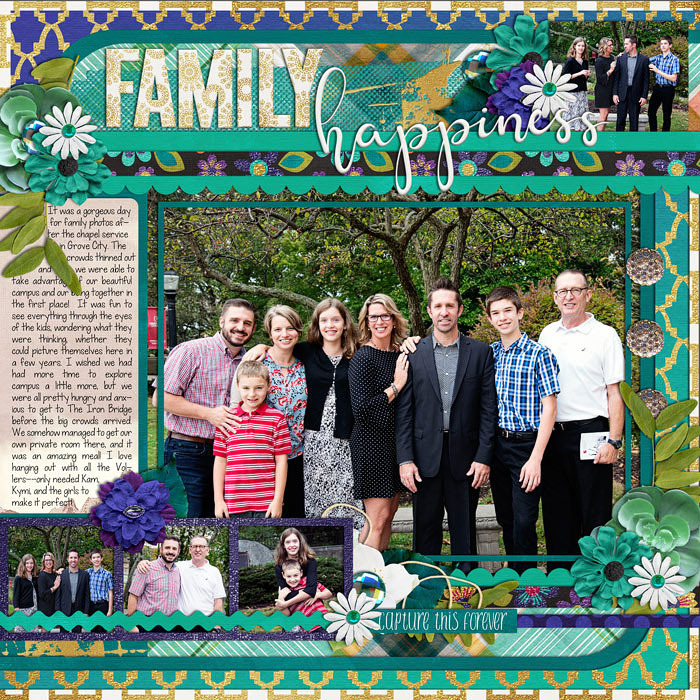 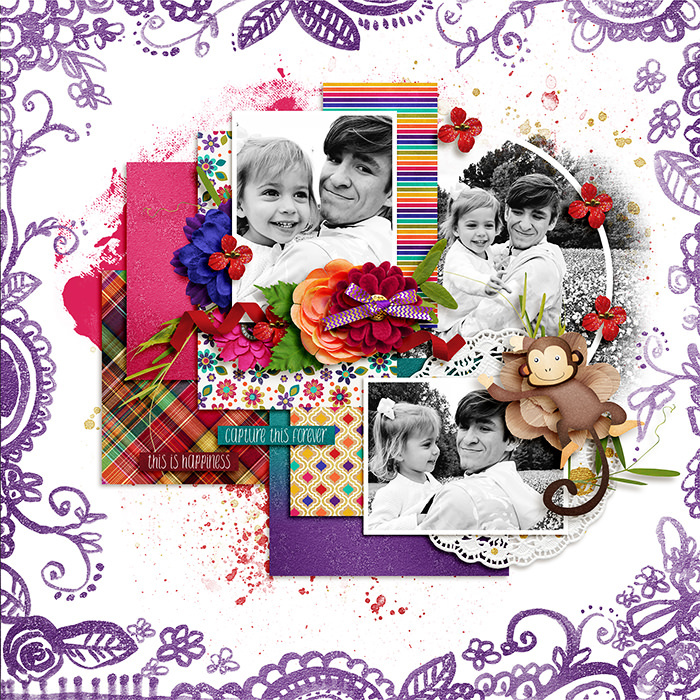 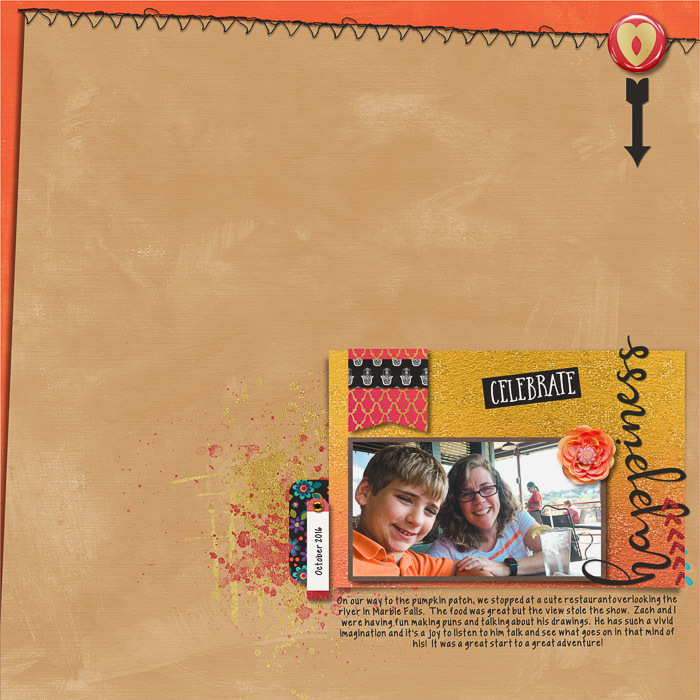 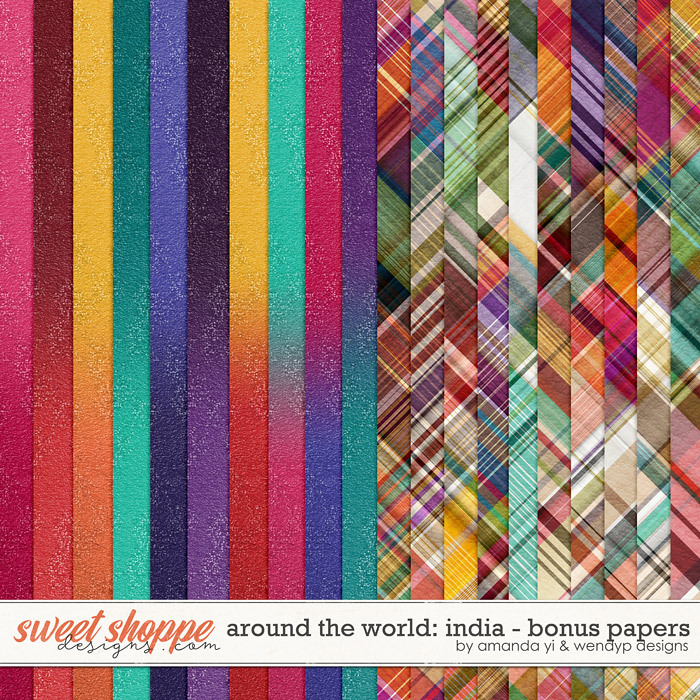 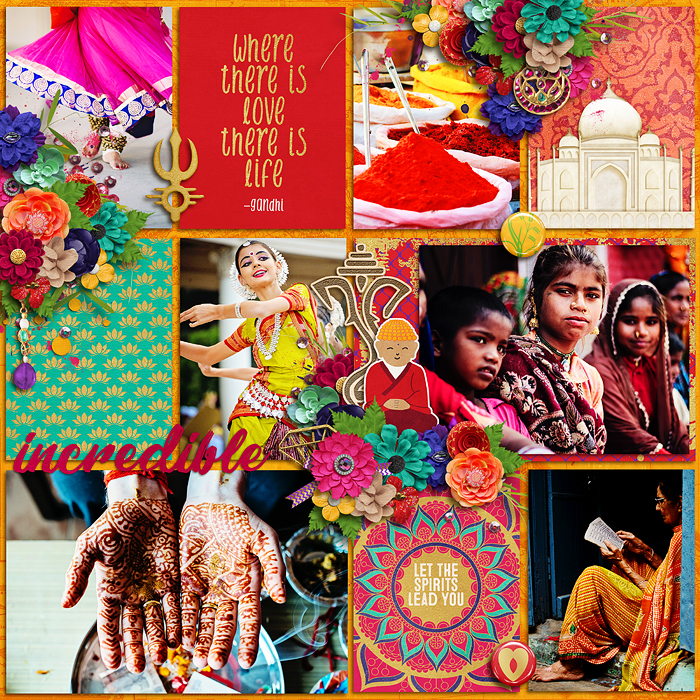 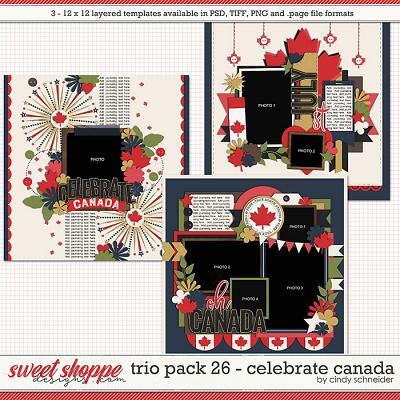 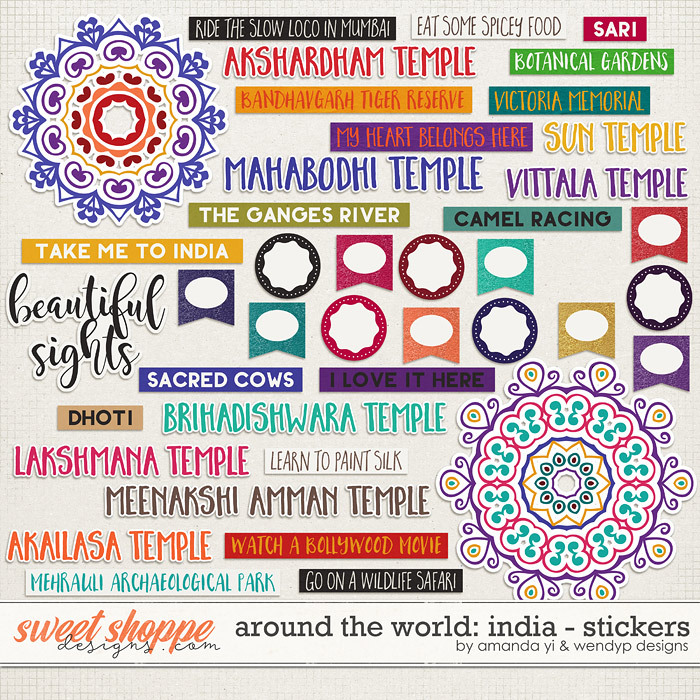 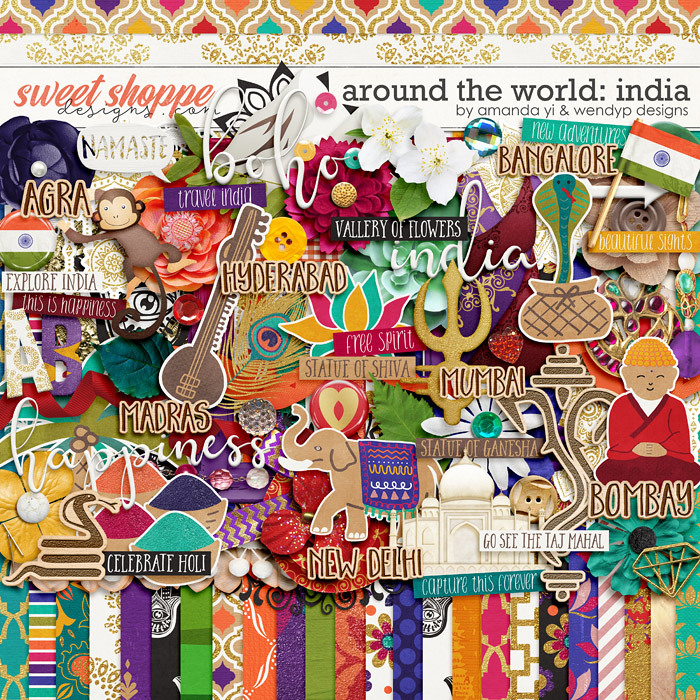 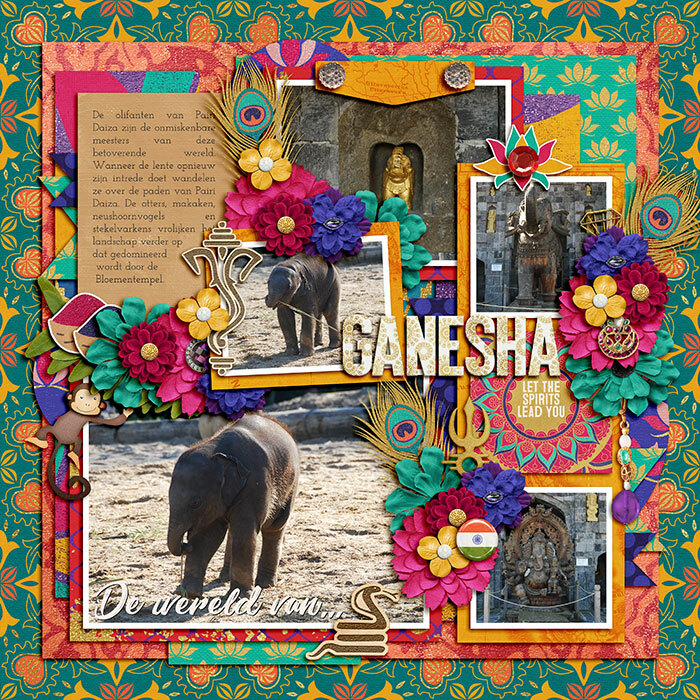 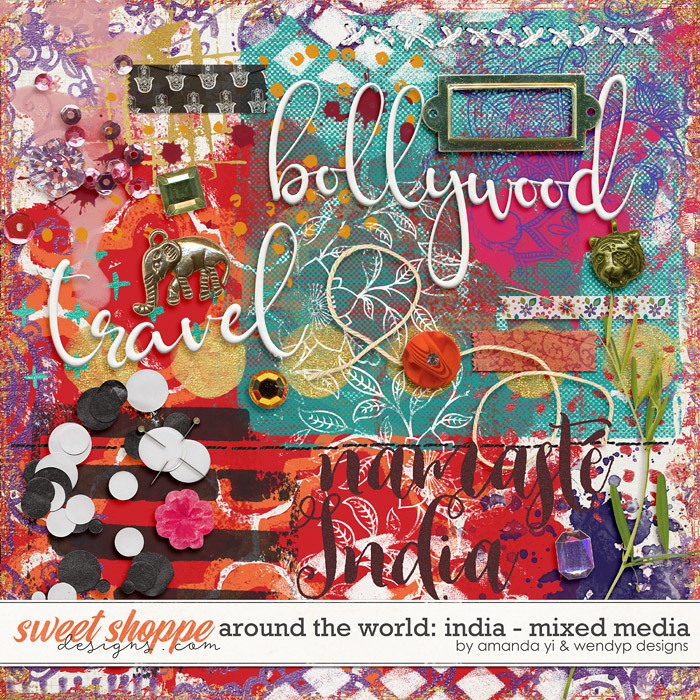 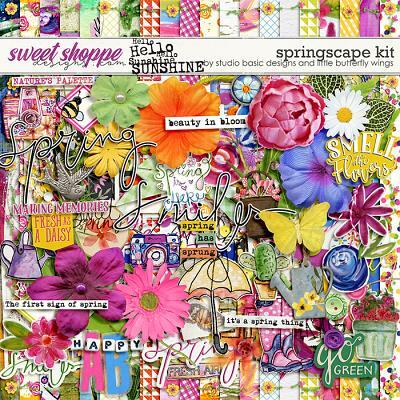 Say "namaste" to beautiful scrapbook pages with the next installment of Amanda and Wendy’s Around the World series! 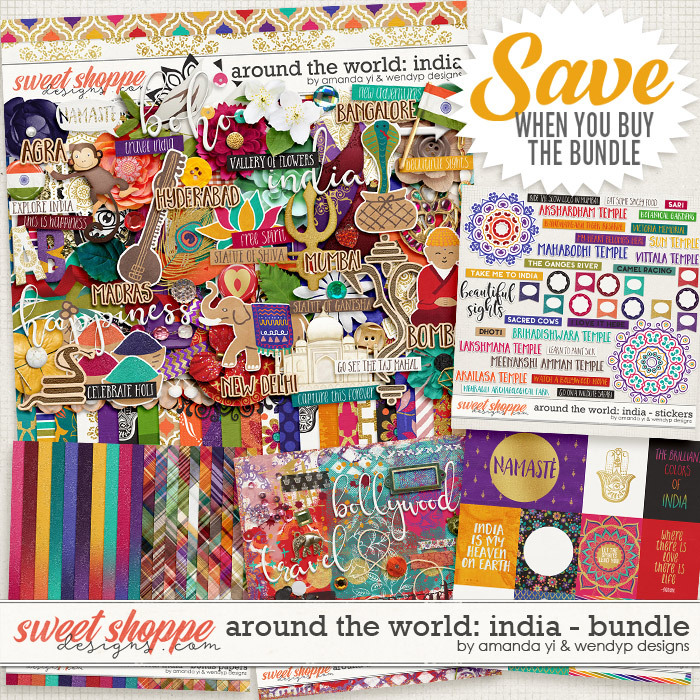 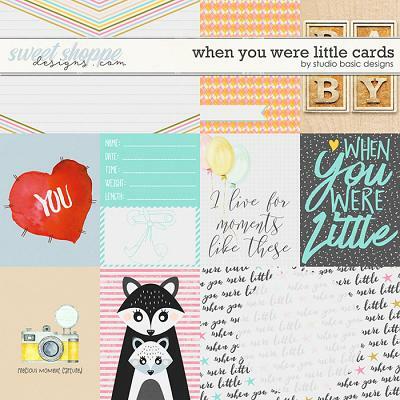 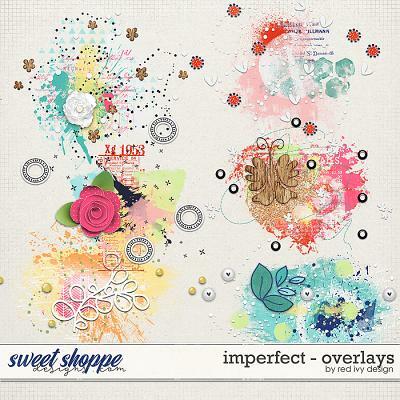 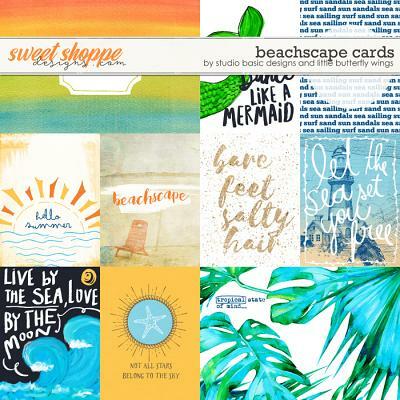 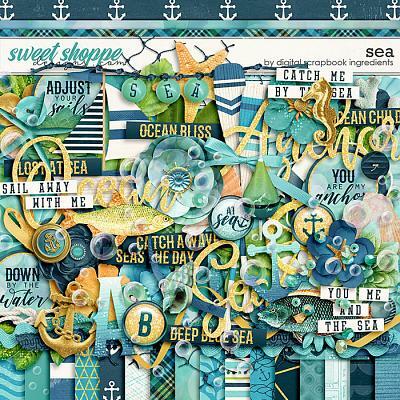 Jewel tones and touches of gold are the hallmark of this gorgeous, colorful collection. 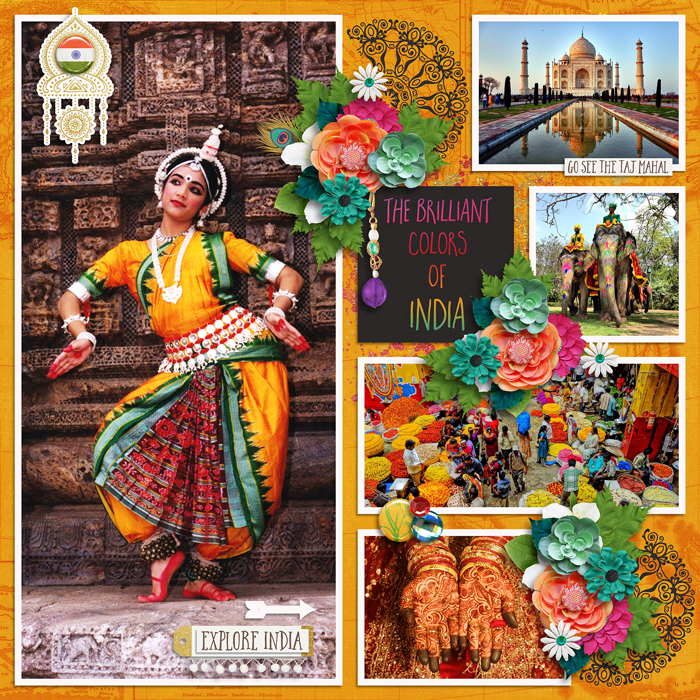 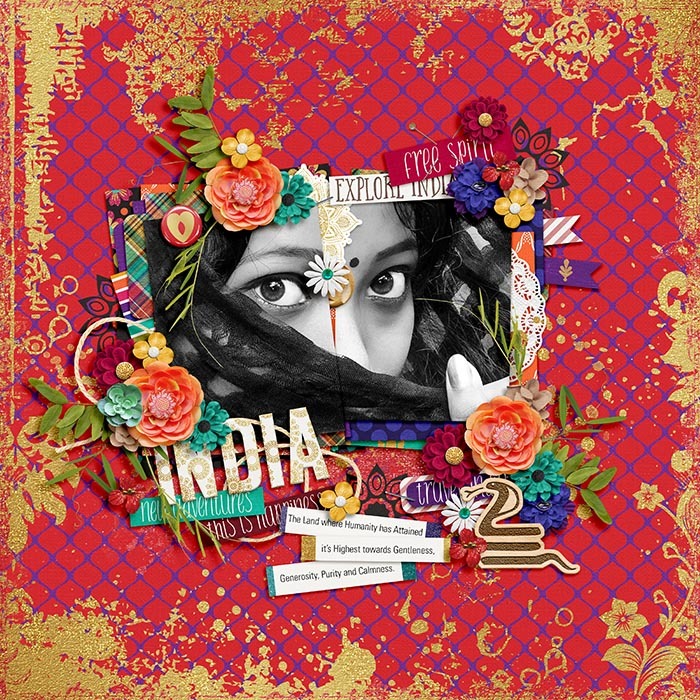 Lotus flowers, elephants, henna art, geographic elements - this collection celebrates all the sights and sounds of India, whether you’re scrapping travel photos or documenting family histories.